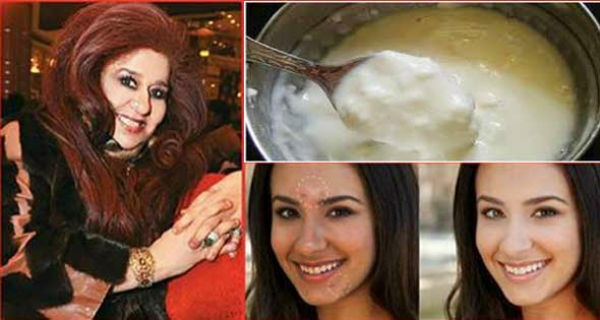 Celebrity beautician and world known make up artist Shahnaz Hussain tells a very simple skin care routine, that will change your skin tone and give your bright radiant skin. She says all your need is Curd, and some other ingredients for other purposes. For younger and brighter skin you can always use a mixture of curd and two tablespoons of tomato juice. This process can be done daily and should be washed off after twenty minutes. You don’t have to hunt for good facial scrubs at the market when you can make one at home. Just mix rice powder with curd and apply it on your face. Rub it gently on the skin and use circular movements. Focus on the areas where you have blackheads. Leave for five minutes and wash off with water. Shahnaz Hussain has also advised all her fans to use her face pack for glowing skin. It is natural, light and can be made at home. For this, you need one teaspoon of ground almonds, one teaspoon of curd and egg whites. Apply it on your face gently and wash after twenty minutes.